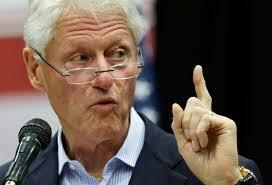 The Progressive is a misguided, gullible dunce with the political aptitude of a lemming. Progressivism is their politics if not their religion; it is built upon a platform of foolishness with a limited understanding of human nature; then it’s sold to weak minded and incompetent, pseudo intellectuals who do little more than follow the mule in front of them and shout accolades for intellectual light weights like Rachel Maddow, Jon Stewart, Bill Maher and yes, the current President of this republic; Barack Obama. 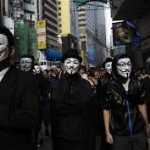 These people support “Occupy” movements and wear silly masks in feeble attempts to conceal their identity; but the world sees who they are…they are those who despise the thought of the American Dream and are ashamed of American Exceptionalism because they neither understand the concept of “America” nor treasure the freedom that she offers. They have been deceived into believing that America has been too strong for too long…it is the enemy of democracy, Socialism, that has fooled them; and now the world is a mess because the fire of this republic has been quenched…rendering her much too weak to maintain the global stability that she once provided. The world is not a better place with a weak America; just take a look around the globe…it’s far worse than it was… and dangerously so. It is in my opinion that those who continue to support Barack Obama and his blatantly Socialist policies are people who have stopped loving or perhaps never loved America. 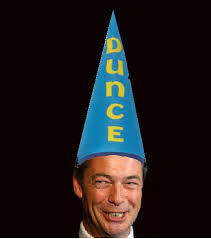 They refuse to accept the utter and complete, dismal failure of this man’s policies and cannot see his evil designs. They are incapable of seeing that every, single decision that this President has made has been downright wrong for this republic and that his agenda has always been to destabilize this once great nation. His policies magnify his disdain for this republic and his unwillingness to correct his wrongs simply proves his determination to destroy her. This man does not believe in the balance of power; he does not believe in the mission of Congress nor in his obligation to uphold the oath that he took to support and defend the Constitution of the United States of America…taking that oath was his first lie as president and it’s been downhill ever since. So where do we go from here? We need to return to the basics…get back to our roots so to speak and start applying the ideals and principles that our Founding Fathers laid out for us. Yes, they work; they have ALWAYS worked…right up until the very moment that the Progressives discovered dastardly ways to amend them to death.. And, once they did, the government grew out of control, the private sector shrank and America became weaker. These are facts, if you debate them you will surly find yourself on the wrong side of history. Don’t listen to any Progressive who spews the garbage that our founders “didn’t really want limited government”. They’re full of it or they just don’t understand the concept of liberty or perhaps they’re truly ignorant enough to believe that the government can solve all of their problems…well, that’s Socialism my friends and we don’t want it here! Here’s an idea; let’s return to the kind country that was strangled by a tyrant king or better yet, how about a Dictator! Let’s forget about the fact that we fought a revolution to break away from the very principles that the Progressives want us to return to…does that make any sense? Well, this is the kind of garbage that they are trying to sell! These policies have done wonders (sarcasm) for Venezuela, Mexico, the FORMER Soviet Union and Greece…the list goes on… it’s the politics of fools and a spawning ground for tyranny! 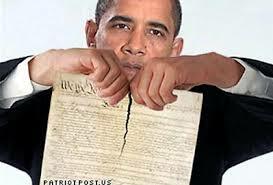 When I heard Barack Obama say that he found our Constitution to be “too restrictive” and described it as a document that “put too many limits on the federal government”; I knew immediately what his plan was…he was out to destroy this country. I shared this concern with everybody including my more “liberal” associations and all I got was “Doug, do you really believe this?” “Do you really think that America would elect someone who would do this? ” and, “I think it’s about time that we had a black president” and “Doug, this is a wakeup call for America”: WHAT WAKE UP CALL? The wakeup call is NOW! We are in a world of hurt because of the ignorant, banal, misguided assumption that just because someone desires to be President of the United States that they must automatically LOVE our country. That view is as unreal as a Progressive’s fondness for freedom. Has it ever occurred to them that someone might actually try so sabotage this republic from the inside? HEY PROGRESSIVE! THIS IS YOUR WAKE UP CALL! ; it has happened and you can’t say that you weren’t warned. Please study our founding documents and work towards becoming a patriot rather than a sympathizer for Socialism; it’s much more fashionable and certainly more rewarding I can assure you…and you won’t have to wear that ridiculous mask anymore. Repeal the 17th amendment; this will restore our indispensable system of “checks and balances ” and re-establish “states’ rights”. This was the original intent of our Founding Fathers. Stop illegal immigration, protect our borders and begin deporting; it’s less expensive than supporting them generation after generation. NO AMNESTY AT ALL EVER! We tried that in 1986 and it didn’t work…let’s not repeat a mistake. Require a picture ID at all voting stations. It’s not too expensive, they do it in India for heaven’s sake. If they can afford it, we sure as heck can. Defund the EPA, Department of Energy and any other agency that is not supported by Article 1 Section 8 of our Constitution; yes, that includes the Department of Education. Return the responsibility of educating our youth to the state and local levels. This will create competition for students at the local level and spawn an atmosphere that promotes education as an institution of true learning rather than a place where students are taught how to pass a standardized test. Seek complete energy independence through PRIVATE SECTOR efforts and ventures. Eliminate Capital Gains tax. This allows people to keep more of their returns on their investments which helps expand our economy and yes, this increases revenue for the federal Government…exponentially!. Lower our corporate tax rate; it is currently at 39.1%; the highest in the world. Lower it to 15% or even 20% and we will become a “destination” country, attracting businesses from the world over. The higher rate pushes companies abroad. 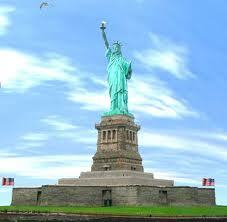 When US companies want to return home, allow them to repatriate their funds with minimal (5%) or no penalties at all. We need their dollars home. Abolish the IRS and the current tax code and implement a Flat or Fair tax. Return programs that help the needy to the local and state level. This is OUR money, not the federal government’s; it gives them way too much power. No free rides either; everybody contributes. 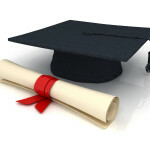 Everyone has worth and should contribute their skills to the community from which they are receiving their assistance. This enhances our connectivity to each other and can only be healthy for America. Encourage privatization of services at the state and local levels. Force vendors and people providing services to compete for tax dollars, saving millions over high paid salaries for state and local positions with bloated pensions and ludicrous Union protections. No tolerance for those who wish to inflict terror upon us. America needs to be strong…no one wants a fight with the most powerful nation in the world. Swift action against those who interfere with our way of life with financial penalties to be paid to the U.S. with the intent of restoring our armed forces to the level prior to the action. Institute swift Congressional action on the Executive Branch for “Executive Orders”. Executive orders should be limited to naming parks, pardoning turkeys, dedicating statues and the like. 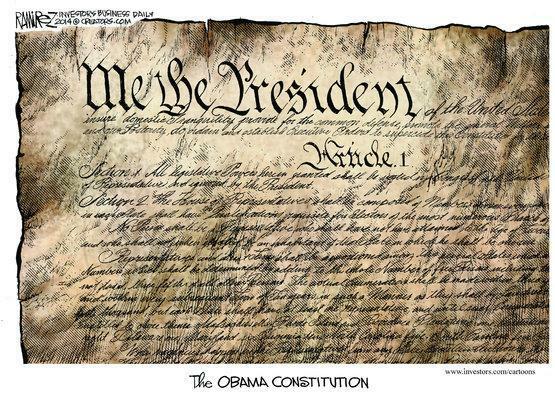 Congress should NEVER be bypassed; it is unfair to the people and is an impeachable offense. Congress was established for a reason. 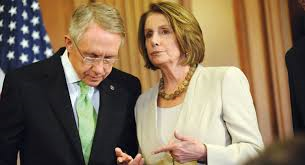 Term limits on Congress; 3 terms for the House, and Two for the Senate. No one should hold a seat hostage for decades. 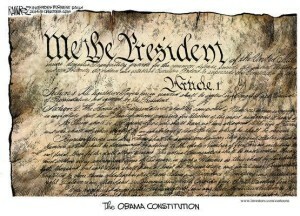 This in part would be corrected by the repeal of the 17th Amendment. Swift and immediate expulsion of Supreme Court Justices who display an activist agenda. Their decisions should not stem from their race, religion or gender. They are to make their decisions based on Constitutional interpretation derived from sources and documents that are dated closest to the drafting of our Constitution; original intent takes precedence in all matters. Congress must pass a balanced and fair budget or the members will receive no salary for the coming year. The American people should not be held hostage to the Progressive agenda of open ended continuing resolutions and debt ceiling raises. No budget; no pay. Both Houses should abide by the Enumerated Powers Act. If a legislation can’t be supported with an article and section of the Constitution then it has no business being on the floor of either house. No federal lands in any state. Each state is a sovereign entity and should have complete and utter jurisdiction, use and control of their minerals, forests, lands and other resources in a manner that is respectful to our environment. Members of Congress promoting any agenda that is not in harmony with the ideals, principles and intentions of our Constitution will be swiftly removed from office. This is to preserve the integrity, sanctity and longevity of this beloved republic. Our Constitution does not promote any form of Government other than a Representative Constitutional Republic. It is for this reason that that our elected officials are required by our Constitution to take an oath to protect and defend it. The Progressive ideology has corrupted a finely tuned machine by throwing the sands of Socialism into the well-oiled gears of our Constitutional Republic. They have tried to fool us into believing that our Constitution doesn’t work anymore by pinning their failures on our founding principles but they’re wrong…it’s like pouring water into the gas tank of your vehicle; then pointing out all of the damage that the water has done to your engine but blaming it on the gas. We need to be smarter than this. We have to be educated and knowledgeable regarding what works and what doesn’t. Capitalism works; Socialism doesn’t! The proof is in the failure of every nation that has tried it. Let’s end Progressive Socialism in America and take our country back to her roots by electing those who will truly support and defend our Constitution! Who was it who decided that we needed to undo everything that our Forefathers set in motion for us? Our Founders had the foresight and the courage to separate this nation from the rest of the world by establishing a unique Constitutional Republic who’s ideals would catapult us far beyond any other nation that had ever existed. America was made great by following the principles that are found in our Constitution and asking us to ignore them, as the Progressives have done, is asking us to become average …to become less effective as a superpower, less dynamic as a people and to become less American if you will. We had our “hope and change” penned on parchment in 1787 but apparently, Obama and his Progressive minions believe replacing that hope with the very thing that we fought to change was somehow a wise decision. To the thinking person, this is an obvious step backwards…to the Progressive, this backslide is a victory. Progressives are, by definition un-American. Progressives are Socialists who rule by executive decree, deception and thuggery. Progressives want Kings, not Presidents. Progressives want subjects not citizens. Progressives are fools who can’t think for themselves so they follow the clown in front of them and nod their heads at the shallow concepts of liberalism like they’re on some sort of political Thorazene…the Progressive’s ideals and principles are the problem with America…they are destroying her. I can’t blame our decline as a superpower entirely on our new “Golfer in Chief” but, he has indeed sewn acres of bad seed since his stepping into the oval office. He has been intentionally divisive and has cut America in two with his incessant efforts of pitting us against each other. I can hear the laughter from the private quarters of 1600 Pennsylvania Avenue as he and his yes men giggle with delight as they throw more water onto the once well oiled gears of this republic with the anticipation that they will rust and appear to “shut down on their own”. Yet, somehow, as hard as they try, they are finding it difficult to nudge, prod, and force our system of government to “shut down on it’s own failures”. You see, our system of government was foreordained by God to provide safe shores for those wishing to flee from tyranny, and a haven for those desiring to exercise their religious freedoms. These liberties are the fuel which turn the very engines that drive our exceptional nature. God’s plans will not be frustrated by the arrogance of mankind… and Progressive arrogance in America has never been more clearly demonstrated than through the dismal failure of their signature piece of legislation…the Affordable Care Act. It’s that kind of arrogant ideology that leads Progressives to believe that they have the right to meddle in something so intimate and so individually diverse. They falsely believe that they can create an earthly Utopia…they are trying to build their own Tower of Babble…and it will surely crumble as did the first. Giving them their due, the Progressives appear to have made considerable strides over the last 100 years or so; but, I can assure you that they will ultimately fail. In fact, they’re failing now for the simple reason that they have underestimated the power of American Exceptionalism. 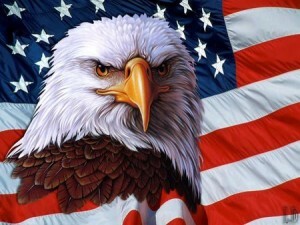 American Exceptionalism …… just say that phrase in front of a Progressive and watch them squirm. For a Progressive, the very thought that America is exceptional is a concept that needs to be squashed. They are driven to convince people that no such thing exists and even demand that we refrain from using the term. Progressives are obsessed with a feigned concern that someone, somewhere might be “offended”….well, that’s too bad…it does exist and we are exceptional. For hundreds of years people from all over the globe have revered our exceptionalism and have wanted to become a part of it as evidenced by their willingness to give up virtually everything that they owned just for a taste of the freedoms that we enjoy on a daily basis. Progressives have tried to destroy our exceptional identity by turning the EPA, IRS and other agencies lose on the American miracle. They have regulated and taxed our manufacturing industry right out of the country; where “Made in the USA” has been replaced with “Made in China” or “Made in Indonesia” or “Made in Vietnam” THAT’S insulting…THAT’S offensive to me and I’m comfortable with saying that because, unlike the Progressives, I’m NOT ashamed of being an American! Things have ALWAYS been made better in the USA because we are a better country and we have better resources, better ideas, better people and therefore better products because we have a better system of governing which invites commerce, industry, innovation and market to mingle together where they can thrive and prosper. There used to be a term for that, you don’t hear it used much anymore but, it is “American ingenuity”…Remember that? There’s nothing else like it in the world. Yes, there were times when we weren’t so kind to our environment but we have become responsible and will continue to be so. However, the Progressives want to fool us into believing that we need to change our system of governing in order to keep our air and water clean…don’t fall for it, it isn’t true. The fact is that Progressivism is Socialism and it is designed to destroy Capitalism and Entrepreneurism. It suppresses creativity and promotes an oppressive ideology that values bureaucratic autonomy over the free expression of the individual. Follow me here for a moment and see what the Progressives have put into motion to destroy this country. Keep in mind that this is just the tip of the iceberg and it is very basic in nature but it should get you thinking. The green movement. This is a front for minimizing America’s potential and eroding American Exceptionalism; they do this by running off manufacturing, choking out industry, preventing commerce and minimizing our markets. In other words, their intention is to destroy the free market. This creates unemployment and therefore a greater burden is placed on local, state and federal programs. Rather than cut costs to useless programs and pet projects, Progressives are quick raise taxes that place a greater burden on those who are fortunate enough to still be working. This expands government, creates animosity and promotes divisiveness. Divisiveness is the first ingredient in the divide and conquer theory. Think about it…set the young against the old, rich against poor, white against black…the list goes on. Break up America into little pods of people with trumped up “competing interests” and they will think of little more than fighting amongst themselves for equality or perhaps a better position in life and they will develop an ever increased yearning for a larger piece of the governmental pie. The people then put a greater emphasis on “social issues” allowing for the politics of equality to take a priority over the politics of productivity. The fact that the whole “equality” issue is addressed in the Constitution and followed up with hundreds of subsequent laws doesn’t stop them from exploiting the frustration of low information voters who are convinced that big government is the answer to “social inequality”. People like Al Sharpton, Jesse Jackson and our Divider in Chief do everything in their power to make sure that this division is reconstituted at every turn. So while we’re all jumping up and down pointing fingers at each other and worrying about whether someone is going to accuse us of being a racist, the federal government is passing laws and making executive decisions that limit our freedoms and takes money right out of our hands and all this is done right under our noses. The Progressives love the idea of an America with no borders. “Let them come!” they scream at the top of their lungs… “give them driver’s licenses, education, welfare, healthcare, free housing, voting rights…” minimize the real value of American citizenship to the point where there is no need to be a citizen anymore and we literally melt into the rest of the world. We will become Citizen’s of the World, with one ideology and a one world vision accompanied by another layer of oppressive bureaucracies that will require hoards of new taxes. Take a good hard look at California; they have been applying all of these principles for decades and now they are bankrupt and turning to the Federal Government for help; yet they refuse to change their ideology…could it be that their obstinance is intentional? No other explanation makes sense… Wake up! Remember the political saying…. “As goes California, so goes the Nation” ? Sorry…No way, not for us! I see a better future for America…I see our future rooted in our past…I say that we ARE exceptional and that if others want to be a part of that exceptionalism then let them come but make them pledge allegiance to the greatest nation on earth and become a WORKING part of the America that has always been the best part of the world. America was built on one, single idea; freedom. We are truly a Nation conceived in Liberty and this reality was built by people from all over the world, of all different religions, creeds, colors and walks of life; forget the tired old idea that Americans are just white…we are everything from white, black, brown, red, yellow…you name it. We are Catholics, Protestants, Jews, Muslims, Mormons, Buddhists and Hindu’s; each bringing their own individual uniqueness to these shores and willingly contributing their cultural heritage and talents to the greater good. And as they did, THEY became Americans and THIS became AMERICA and THEY became US! You see, each of us is a living, breathing product of those who walked before us… they were exceptional and so are we! THAT’S where American Exceptionalism comes from! It is the product of the best characteristics from the best people from all over the world, who came to one spot to take part in a great revolutionary experiment and that great experiment began with the ratification of our Constitution. 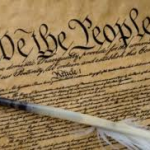 Our Constitution is a promise…a promise to all of the world that there would ALWAYS be a haven against oppression and tyranny called America, where people would ALWAYS live in freedom and that NO ONE would EVER take it from the earth until God Himself decided that it was time to call her home. The Progressives may not have her, we must refuse to become like the rest of the world and fight against it with every fiber of our being. 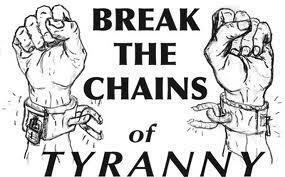 We have to stamp out the oppression and tyranny of Progressive Socialism and stand for freedom. Stop singing We are the World and sing the Star Spangled Banner my friends because America is coming home and Liberty is coming with her! Please help me spread the word throughout this beautiful republic that hope is not lost and that the love of God and country will never be taken from the hearts of the American People…that someone, very soon, is going to stand up to once again lead us valiantly and with renewed strength, against the tyranny that has so horribly divided our nation. We must find this person…there absolutely must be an unknown American patriot quietly hidden in the shadows waiting to come forth; it could be someone who might be sitting next to you on the bus or in your office; perhaps it’s a neighbor or a friend; a brother or a sister…indeed anyone. This is why we need to talk with each other about the things that are important to us…this is the only way that we will find out who is willing to step forward and who is not. Don’t be shy, don’t be bashful…be willing! Be willing to talk with a complete stranger about how much we love our country. Be willing to stand in defense of our values without being contentious. Be willing to share the ideals of our Constitution with those who may not know them and help them understand how they can apply them to their daily lives to help make this country a better place. Be willing to break down the barriers that have been set between us by finding solutions to common problems without seeking for legislation. The blood of patriotism will never cease to course through the veins of the American People so long as there are those who possess the courage to stand in defense of her ideals. As long as we have those who pledge their allegiance to the great cause of liberty and who are willing to fight for her, there will be those who will be known as patriots. The time has come for all of us to encourage those unknown patriots to stand up in defense of our freedoms, our Constitution and the American way of life. Enjoy the freedom that you have been given and be prepared and willing to fight for the ability to pass it on. By the time that you read this, our nation will already be foundering. I write to you with the hope that you might fortify the fine people of this republic with the wisdom and insight that you so generously imparted upon our Forefathers; that wisdom seems to have been temporarily replaced with a philosophy that is contrary to the spirit in which our founding documents were drafted. How can we inspire and motivate the people of this fine nation to take a stance on a concept that was born 238 years ago? What can we do encourage the American people to see and think beyond the temporary and debilitating sustenance promised by Progressive/Socialists? How can we make the people understand that this sustenance isn’t free; that it actually comes at an extremely high price?…a price that very few would be willing to pay if they only knew what the actual cost was. How can we teach them to support and vote for those who promise them the intangible concept of liberty over those who will promise them free things; things that could be easily purchased twofold if they only had the freedom to buy them with money that they have earned with their own two hands? The golden doors of opportunity that began to swing at the inception of our Constitutional Republic were never meant to be the gates of guaranteed equal results. Wealth was NEVER meant to be distributed but rather earned by those who were wiling to take a chance and work hard; those who were unable or unwilling to take the chance became the engine to industries, markets and professions and were compensated for their efforts and took pride in their participating in something great. Welfare was a term that described the general presence of well being rather than the “gifting” of the fruits of another’s labors. Hard work was an honorable and respected way of life rather than a catalyst for pity and entitlement. When did the rough and tough American turn into the soft and needy baby bird sitting comfortably in a nest with their beaks open? Our Founding Fathers must be shaking their heads. Dear Liberty, our forefathers established a method of immigration because they knew that people would want to come here. Why aren’t we following it? Why are they being twisted into meaning something that was never meant to be? Immigrants used to flock to this county to become Americans; they once took great pride in taking an oath to their new nation…a nation that welcomed them with open arms, that had a language that the new citizens wanted to learn and offered them the opportunity to participate in something special that wasn’t available to them in their former countries. Now they sneak in through our back door and demand that our laws be changed and lobby for policies that will change our system of government to mimic those of the tyrannical, oppressive countries that they have left behind. What irony! We have those who call themselves Progressives; their shallow attempts to make themselves sound “worldly” and “open minded” are overshadowed by their ignorance of how oppressive and tyrannical that Socialism actually is. How can they categorize their thinking with the concept of “progress” when their chosen system of governing is as old as the very humus on which they stand? What do they want to progress to? The word progress usually alludes to some form of improvement. Liberty, can someone please tell them that this Representative Constitutional Republic can not be improved upon with ancient and evil forms of control? The policies of their current president are living proof that their theories don’t work. This president has gotten virtually EVERYTHING that he has asked for and something’s that he has just illegally “taken” by Executive Fiat and our nation has suffered dearly for it; economically, socially and politically both domestically and abroad. We are weaker today, in ALL respects, than we were 6 years ago. Have previous administrations failed as well? Yes they have! Failure always occurs when we move away from our Constitutional ideals and adopt Socialist policy…it’s been happening for years. Barack Obama is not the only abuser of the Executive Office, he is, however, the most obvious and blatant Socialist that we have seen since Woodrow Wilson. 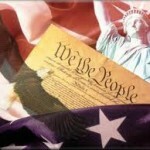 It’s time to wake up and stop defending this enemy of our Constitution. “Bin Laden is dead and General Motors is alive”; I’m sorry Mr. President but the spirit of Bin Laden is quite alive in the acts of terror that persist throughout the world and the spirit of General Motors was killed when you took MY money and gave it to a private industry. The death of Bin Laden has done NOTHING to further my liberty or secure my freedom. Contrary to common belief, GM has NOT paid back all of the money that you shoveled into it; do some research and you’ll see that I am correct! The American people can still feel the sting from the slap in the face that we received when GM took OUR money and invested it overseas where they are currently bolstering foreign economies and hiring foreign workers because YOUR regulations made it more feasible for them to invest abroad…nice work Mr. President; I wouldn’t exactly call that a success. And by the way, have you seen Detroit lately? Dear Liberty, can you tell me why the Progressive/Socialists demean, belittle and degrade Constitutionalists? They go out of their way and use Federal agencies to target groups that espouse Constitutional ideals; they label them with vulgar monikers like “tea baggers”! I’ve heard our president actually use that term! He claimed that he didn’t know what it meant but that was a lie; it was an outward verbal display of his hatred toward Constitutional principles and this country in general. Since when did being a good American Patriot become a bad thing and being a Socialist become acceptable? This is a sad time for America! 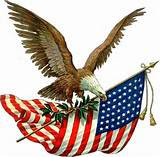 I believe, however, that we will overcome this tyranny…America is here to stay; her ideals are divinely inspired and infinite while the Progressive/Socialist agenda is devised of evil means and doomed for failure; the American People can see it…we can FEEL it. Americans are tough!…we storm beaches and secure victory against overwhelming odds; we face tyranny without hesitation or fear because our true fear is leaving a republic to our children where they will be forced to live beneath the oppressive hand of a tyrant. 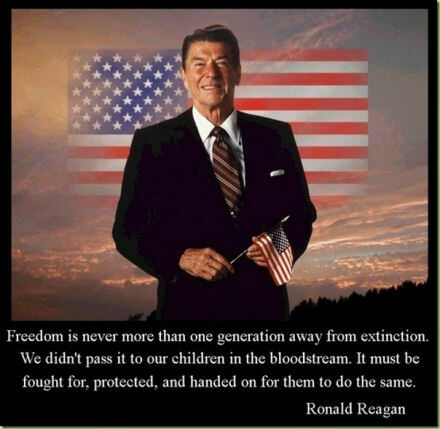 We’ve been given this beautiful gift of freedom and we won’t stand by idly while Progressive/Socialists abscond with our liberties that have already been bought and paid for with the blood of heroes who were willing to die to keep us free. We’re not for sale…we’re not giving up…America will rise again! As blatantly unconstitutional as the Obama Administration has been, NOTHING has done more damage to this Republic than the irresponsible and subversive misuse of the media. When will the American people finally learn that the media’s job is to report the news; not create it and not spin it? The American people are smart; we don’t need to be spoon fed or have our little bottoms wiped for us; but the White House and the media disagree. What’s worse than media spin, is the lawless Obama Administration’s use of the media to “brainwash” the American People. Can anyone say “Joseph Goebbels?”. Why do we need an “immigration strategy” from the media? Why don’t we simply enforce the laws that are on the books and treat illegals like criminals? That’s what they are! Sorry Jeb; illegal immigration is NOT an “act of love”. Putting innocent children in harm’s way is child abuse and forcing them to break a law is contributing to the delinquency of a minor. If I’m not mistaken it might also be reckless endangerment of a child. I don’t buy into the “they just want a better life for their families” strategy. What they are doing is making our lives more difficult by “stealing” money from our families in the form of free stuff that they expect to receive when they get here. 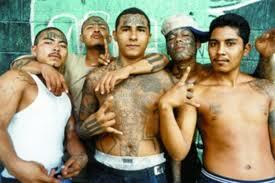 Mr. Obama; the poster child for the illegal immigrant is not the child held by a mother and father escaping tyranny; it’s the tattooed gang thug, human trafficker, and drug dealer. I understand, sir, that you can’t see that from your bubble in the District so please listen to those who see it every day…those who live in states that are near and on the Southern Boarder. Now, as for your “immigration strategy” that you plan to “sell” to the American People through Rupert Murdoch and other less than patriotic media thugs; how about going through Congress for once? How about asking the members of the U.S. House of Representatives to query their constituents directly? You may just discover that an overwhelming majority of Americans are sick of your “open boarder” policy. Please stop flashing glib terms like “Comprehensive Immigration Reform” that really boils down to amnesty for criminals…a “reform” that will put an unjust burden on American families through higher unemployment and less available tax revenue to put toward paying down our national debt. 1. It flies in the face of logic to legislate any further reforms into existing immigration policy prior to securing and properly maintaining our borders. There should be absolutely no discussion of Immigration “Reform” until The Feds have finally and successfully executed their Constitutional obligation to defend the sovereignty of these Untied States to secure our boarders and enforce the laws that are currently at their disposal. 2. Was Jarrett just testing the waters with Murdoch or are we in bigger trouble than we think? Could it be possible that she was trying to read his reaction to this whole disgusting plan? Why has the media become more important than the elected members of Congress? I am not blind to the fact that their reaction to policy matters but why are they continuously being used to shape and form policy? Sadly, since the ratification of the 17th Amendment to the Constitution in 1913, that is the exact role that the media has taken. They have virtually replaced the United States Senate in Washington DC and the media reaction to policy has more and more displaced the system of checks and balances that were set forth in our Constitution. William Randolph Hurst really did a number on America with his campaign to replace the influence of the Senate with that of the newspaper. He gave birth to what we refer to today as “Spin”. His “selling” of the 17th amendment through the media was as deceitful and as disgraceful as was the Obama Administration’s sale of the Affordable Care Act to an angry public. Now, a fearful public stands on the sidelines as this shameless administration once again, consults with media moguls regarding policy rather than turning to where it is obligated to turn…CONGRESS!. Sadly, everyone knows that they aren’t really selling immigration reform at all but rather the gradual and inevitable demise of this precious republic. Dear Liberty, please inspire and encourage the American People to think beyond the print; to see beyond the empty faces of Hollywood actors and actresses who involve themselves in causes of which they are ill informed; to hear beyond the insanity of pulpit thugs like Harry Reid and Nancy Pelosi. Please help us restore this republic with the Constitutional principles that have worked in the past and that are guaranteed to work again if they are simply and properly applied and not bastardized by the leftist media. On this Memorial Day, I can’t help but reflect upon that small field in Lexington, Massachusetts where 77 brave Americans made their first and courageous stand against tyranny. Faced off against 250 British soldiers, these men, outnumbered and out gunned, took a gallant stand for us and the lives of honorable men were sacrificed to bring forth this nation that was foreordained by God to become a beacon of hope for the entire world. Where would we be without these warriors who were willing to seal their testimony of liberty with their blood? What made them so willing to sacrifice all that they had for a mere concept? A concept that was hitherto undreamed of but would soon transform a group of colonies that were struggling to survive into a United Republic that would very quickly rise to become the greatest nation to ever grace the surface of God’s earth? The answer to these questions can be found in one single word…Freedom. Freedom of thought, freedom of speech, freedom to choose, freedom to be and freedom to worship to the dictates of one’s own desire. Those were the reasons then for the ultimate sacrifice and those are the reason now that these warriors continue to offer their blood for the common good. 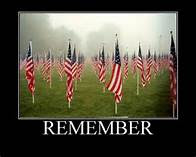 From Lexington to Luxembourg, from Da Nang to Bagdad and from the deserts of Afghanistan to a final resting place in Arlington, our sons, daughters, brothers, and sisters have given their blood to secure the blessings of liberty for those of us who are fortunate enough to reap benefits of their bravery. Today, on this special day, may we all pray and meditate and give thanks to the brave souls who now see us through the veil that separates Heaven and Earth. May we honor them by keeping their cause moving forward and may we unite in their honor to save this nation for which they have given so much. “What a glorious morning this is” were the words that John Adams spoke when he heard of the battle that began our liberation against tyranny. May each and every day be glorious as we move forward for the cause of freedom and liberty and may we always remember those who made it possible. Whose coffin is draped in the flag. Poor Nevada, They’re Missing A Senator ! For some time now, I have had some very serious concerns regarding the direction of our beautiful republic but even more so since having heard the following statement made on the floor of the U.S. Senate. These frightening words were uttered by the United States Senate Majority Leader regarding his duties and obligations as a U. S. Senator. I would expect these words to be read from the floor of the Russian Politburo but not the floor of the U.S. Senate. 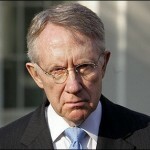 The ghost of Karl Marx must have giggled with delight when he heard Harry Reid orate these eerie words. The first question that I have is: Do the people of Nevada finally realize that they have a Senator who, very clearly and openly, does not represent the interests of their state? The Second question: Why is he still in office? And the third: Where is the public outrage? What I fail to understand is that there was little or no response after Mr. Reid made this blatantly contemptible statement. Have the people forgotten who is supposed to be in control or is it that they truly don’t understand the Constitution of the United States of America? Or even more concerning, is it a combination of both? I encourage everyone to take a look at Article I Section 8 of our Constitution and see what those 18 powers are. You might be surprised to find out that the Federal Government has reached far beyond them. You might also discover why our Federal Government keeps running out of money and has to keep raising taxes to pay for the programs that should never have been created. I am tired of listening to the Progressive/Socialists who state that our Constitution is “out dated” and needs to be “revised”. What they really mean to say is “That it’s time to get rid of our Representative Democracy and establish a Socialist Republic”. The overwhelming majority of these Progressives aren’t even thinking for themselves; they are reciting Socialist garbage that they have heard from someone else who most likely doesn’t understand our Constitution or who might be intentionally perverting it. I make the above statement, not on an un-researched assumption but from in depth questioning of those who make these kind of ignorant statements to me. I have not found one single individual who can offer me an example of what needs to be “updated”. They all fall back on the same shallow comeback of “Dude, the thing is like over two hundred years old” Then they throw in ridiculous statements like “Washington and those guys had no idea that one day we would have radios, cell phones, televisions, gay marriage, illegal immigration and stuff” That’s my signal that this conversation is just about over so I hand them a pocket Constitution, politely ask that they read it and invite them to come back and discuss what exactly it is that they would like to change. Some take it and some don’t. Those who have taken it and actually read it discover that there really isn’t much that they would change and ultimately agree that the majority of the social issues that are dividing us should be taken up at the state level. They also discover that the words “guaranteed separation of church and state” don’t appear in there either and that provides me with the opportunity to inform them that that concept is just another Progressive lie taught by ignorant or intentionally misleading teachers and professors. 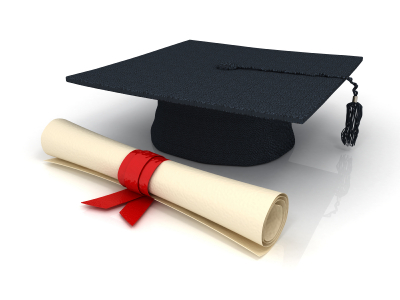 Why don’t we require that every single student be fully schooled in the U.S. Constitution before they a re allowed to graduate high school? Why don’t we test their knowledge on our founding documents before they are commenced? We do it with math, English and science but fail to educate and evaluate our students with one of the most important tools that they need to help them understand and maintain their freedoms; one that will also assist them in making good decisions in the voting booth. There is no doubt that this is done intentionally by our Department of Education; they would rather require that our educators spend precious time teaching that it’s ok to have two daddy penguins or two mommy penguins and other politically correct drivel rather than instruct them with practical knowledge that can be used by the future leaders of our republic. A good study of our Constitution will immediately reveal to the reader that it does not protect an individual from getting his or her feelings hurt nor prevent them from being offended; this is a waste of Federal time. Politeness and manners are to be taught in the home, not in the schools and they should neither be enforced nor policed by the Federal Government. The reader will also find out that the golden doors of opportunity are not the gates of guaranteed equal results. They quickly discover that a representative democracy requires hard work and that there are no guarantees made to those who do not try. The Constitution does not give the right to the Federal Government to censor our morality nor prevent us from speaking and thinking what we believe as long as we don’t trample on the rights of someone else to do the same. 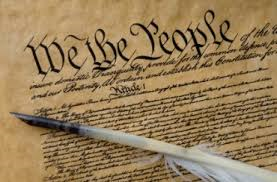 The Constitution does, however, state very clearly what the duty’s and obligations of the three branches of government are and SUPPORTING THE FEDERAL GOVERNMENT IS NOT ONE OF THEM. This statement is almost criminal in nature and misstates the objective of the U.S. Senate. It is even more dangerous because it came from the mouth of a powerful, well-known public figure and I, for one, believe that is was intended to incorrectly educate those who didn’t know otherwise. 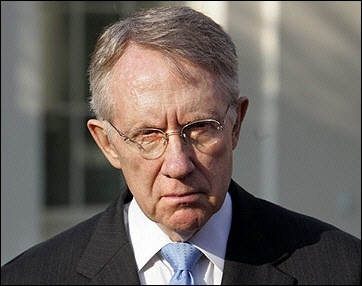 If Mr. Reid truly believes that the mission of the U.S. Senate is to support the Federal Government then it is most certainly “High Noon” in the Capital City and time to repeal the 17th amendment. I can think of no better time to re-educate the people on the importance of reestablishing state representation at the federal level. Those who are against this repeal ignorantly state that the “conservatives want the repeal because they want to control the government”. Let me state for the record that it is neither the Conservatives nor the Republicans who want the repeal…It is the Constitutionalists; and yes, the Constitutionalists want to return control of governing to the people and the states. Constitutionalists from BOTH parties should be interested in reinstating the system of checks and balances that our Founding Fathers established for us. We should all be uniting against the Progressive/Socialist movement that has always been more ignorantly trendy than intellectually beneficial. If you consider yourself a Progressive; stop and think before you say it out loud anymore. Study our Constitution and decide for yourself if you really want your country to be “fundamentally transformed” from a successful first world Representative Democracy into a second world Socialist Republic that is guaranteed to fail, just as they have failed time and time again all over the world. Please stop following the Progressive in front of you and see, for yourself, just where this destructive pathway leads. History must neither be ignored nor re-written to hide the horrors that Progressive/Socialism imposes and requires. If I have offended you then this is just an indication that you have stopped thinking for yourself and that you are just too far left to admit it…all I can do is to ask you to reconsider your goals for this republic. While the Progressive/Socialists see the redistribution of wealth as a just and fair method to operate our society; the Constitutionalists seek the restoration of this Republic through a just and fair redistribution of power by placing the power of governing back into the hands of the people and the states where our Founding Fathers intended it to rest. Let’s repeal the 17th amendment and rise, once again, as a nation united against oppression and stand firm to prevent our children from becoming subject to the horrors of tyranny. There was never a generation that experienced more freedom, had more money and effected more change for this country than that of the Baby Boomer’s. Their time was an era of extreme growth, both politically and economically. 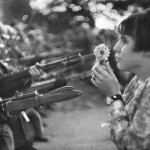 They questioned authority at every level. 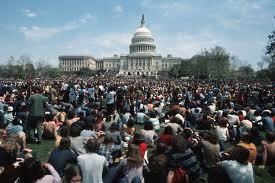 They stood up for the things that they believed in and went to great lengths to ensure that they were heard. They were organized, motivated and determined to bring about the changes that they desired. They were willing to stand up for their rights as Americans and demanded that they be accommodated; their interests, goals and methodology were in direct contrast to the cheap knock off of the “Occupy” movement who just wanted more free stuff. While I don’t agree with some of the things that the Baby Boomers stood for, I admire their tenacity and their “sticktoitiveness”. 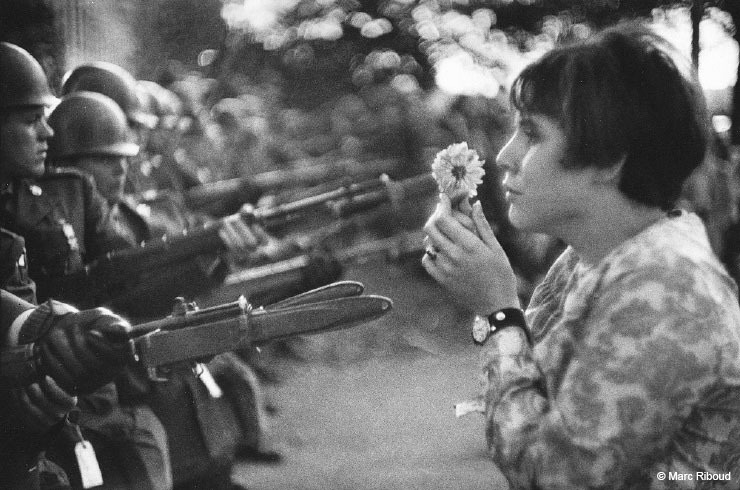 I admire how they were willing to step forward and not take “no” for an answer and for their courage in putting flowers down the barrels of the riffles that were pointed at them. They knew their rights, they knew their Constitution and they knew where the government should end and where “the people” should begin…they wanted to make a difference and they did. We need their help now. We need them to show us how to unite FOR America and not divide against her. When I look at the things that are dividing this republic today, I see a host of things that really don’t make a difference…let’s take gay marriage for instance. Now don’t go throwing your hand up in the air, hang in there with me for a minute. It is an important and sensitive issue but it’s an issue that really affects less than 3% of our population. Where it becomes a problem is when a party makes it the main issue of their platform and people come out of the woodwork to support that one cause and don’t take the time to listen to the other issues that affect the entire population; economic issues…political issues. Issues like gay marriage are used as smokescreens to conceal the true agenda of the Progressive/Socialists; the agenda of dismantling this republic. The American People should be smarter than this and take many of the social issues like this off of the national platform. After all, who truly wants Uncle Sam in their bedroom in the first place telling them what they can and can’t do? Please think about that question very deeply before you answer it. The federal government has found its way into our living rooms, kitchens, bedrooms, class rooms, grocery stores, bathrooms, you name it. They have assigned themselves as the watchdog over all that is and claim that the things that they do are “for our own good”. They have essentially stated that they know more about what we want and need than we do. This is not the characteristic of a Representative Democracy, this is the profile of a Socialist Republic. “My vote doesn’t count” has become the mantra for those who don’t exercise their right to vote. They claim that it just doesn’t matter if they show up at the poles or not and as a result we have a 47% voter turn out on a good day. 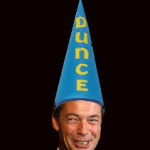 Who came up with this ingenious plan that cut the amount of people who vote in half? Think about it; now they only have to influence roughly 50% of the people rather than 100% of them. It’s almost admirable if it wasn’t so devious; we need to unite and rise above this. Storming the Capitol isn’t going to work anymore. The only way that we can save this republic is to reunite the people from the ground up while simultaneously passing meaningful legislation in Congress that gives the power of governing back to the governed. Passing legislation such as the repeal of the 17th amendment will return power to the states and repealing the 16th amendment will return power to the people. After all the Senate was created to manage the interests of the states and the purse strings are held by the people in the House of Representatives. Repealing both of these amendments will immediately put the federal government back where it belongs…behind bars until it is summoned by the will of the people to perform an appointed task. Keep in mind that I whole heartedly support and believe in the concept that “all men are created equal”; yet I believe that the politics of equality has been touted so much through political correctness that the politics of productivity has fallen from our sight and our republic has paid a dear price domestically and abroad, both politically and economically and our freedoms have slowly been consumed by an ever expanding federal government. 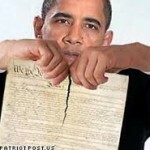 It’s time to repeal the amendments that have destroyed our sovereignty and stifled our progress. It’s time to make a stand for liberty and unite, once again, as Americans in an effort to preserve the ideals that our Forefathers put into motion in the Year of our Lord One Thousand Seven Hundred and Eighty Seven. 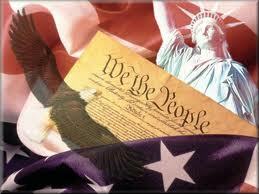 The Bundy Ranch incident is a perfect example of what the 17th amendment has done to this republic. It has rendered every single state powerless to protect themselves, their interests and their residents from the sheer insanity of the Progressive/Socialist agenda. This agenda includes the seizure of private property and increased Federal control over lands that are located within the legal boundaries of each sovereign state. This control also allows the Federal Government the latitude to pick and choose which industries they consider to be “sustainable” or not and whether or not to grant them access to these lands, furthering their oppressive grip on private enterprise and family owned businesses. The interests of the States are being perilously subjugated to the ill will of an overbearing central government. Rather than weapons of war, the Progressive/Socialists have used their agenda to silently conquer this republic by instituting a series of supposedly “noble” initiatives that are intended to save one “critter” or another from extinction. However, beneath their feigned compassion for endangered species, there lays a dark scheme that is designed to transform these United States into a Socialist Republic. They unfairly play on the emotions of animal lovers everywhere by convincing them that their efforts have saved an ever growing list of endangered species, when the facts show the opposite. The Endangered Species Act has been an overt failure from a “save a species” standpoint. Of the thousands of species listed in the act, only a few have shown a mild improvement and their successes cannot be contributed to the policies of the ESA but rather to the efforts of private organizations and associations. In fact, many of the species listed have declined in numbers because of the ESA. But, this is a topic for another letter to Liberty. Let’s be honest, no sane person would choose the existence of a critter over the existence of mankind. Oh, I know, I can already hear the attacks from the environmentalists… “This guy hates animals”. My advice for them is to “SAVE IT!”. My comeback is that “I love animals”. There is no doubt in my mind that if an environmentalist was stranded in the wilderness with no food and the only thing that stood between their living or dying was an animal on the endangered species list; that the critter would, no doubt, meet it’s maker . Perhaps they would wait a little longer to exercise the demise of the creature than the rest of us; but, they would certainly dine nonetheless. This scenario proves that all sane people believe that their survival is ultimately more important than the survival of a mere creature. This scenario is not to justify the abuse or waste of any animal but rather exhibit man’s inherent and instinctive will to survive; not to mention his God given dominion over all that is. I cry foul on the millions of acres of land that are quarantined as “Areas of Critical Environmental Concern” and dedicated to a turtle; this makes absolutely no sense to me. All this does is create disdain for a particular species by those who could be using the land to support their families. It kills jobs, limits use of the land and worst of all, destroys state sovereignty. There should be no Federal land in any state whatsoever. There should be no National Forest in any state whatsoever. There should be no National Parks in any state whatsoever; these are Constitutional breaches in my opinion. Not a word in that clause that mentions a thing about protecting turtles, trees, birds, bats, fish, fowl or the like. It seems to me that sovereign state land can only be PURCHASED with the STATE’S PERMISSION and ONLY for the purpose of protecting and preserving our nation and her citizens; not protecting or preserving wildlife. What of the lands in oil rich Alaska that the petroleum industry is forbidden to tap because of an obstinate and tyrannical EPA? Hasn’t our energy independence been proven to be a matter of national security? This administration invests in sloppy and badly run enterprises that produce less efficient sources of energy, yet refuses to allow a sovereign state access to a proven and efficient resource naturally stockpiled beneath their soil. What of those same types of lands in Colorado and off the continental shelf where China is allowed to drill but we aren’t!? The environmentalist, clearly, have way too much control. How does all this relate to the 17th amendment? Skip back to Bundy Ranch. 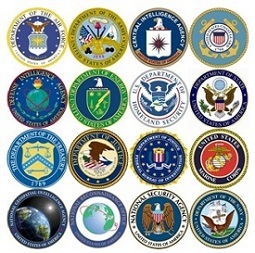 If the State Legislature of the State of Nevada had TRUE and PROPER representation in Washington DC, the Federal Government would never have dared send their agents against the private citizens in that sovereign state. To begin with, there would have been no “Federal Contract” permitting the Bundy’s to operate that land; it would have been a matter among the Nevada State Legislature, the people of Nevada and the Bundy’s. Forget the drivel about Harry Reid and his possible involvement in this incident, that’s secondary, it’s a smokescreen and dangerous to hang our hats on. Let’s stick with the core issues here; those of state sovereignty and bringing awareness to the destruction that an unconstitutional amendment has wrought upon this republic. I have no idea whether or not Cliven Bundy’s recent statements stem from prejudice, ignorance or both but they should neither minimize his rights to access land in his own state nor prevent him from supporting his family. These are separate issues altogether and should not cloud the core issue here: States Rights. The media will discredit his justifiable cause by associating it with his statements…let’s be bigger than that…let’s not lose sight of what this is REALLY all about. I am aware of the “property clause” in Article IV section 3 of our Constitution. I am also aware that the Supreme Court has interpreted this clause as not to extend federal control of the resources on or below the soils or on the shorelines or waterways “even if the land or waterway is deemed federal”. Their decision is definite and their intention is clear in respecting and maintaining the sovereignty of each state and the resources therein. Our Founders never intended for the small and obedient central government to pick and choose winners and losers in business nor hinder a state from accessing resources that would spur industries and that would ultimately generate federal revenue. 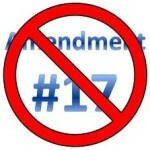 The 17th Amendment has allowed the Federal Government to trample the interests of the State. 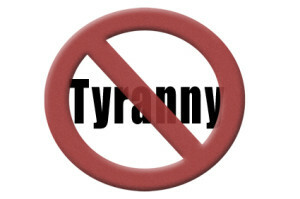 Each state in this Union needs two individuals, chosen from the legislature thereof, to stand firm on the floor of the U.S. Senate and say “No” to tyranny. Each state in this Union should have a legislature that is carefully selected by the legal residents thereof that accurately represents their electoral majority; that legislature should be filled with individuals whom are intimate with the needs and values of the people and the state that they represent. This means building an informed and involved electorate that honorably and responsibly performs it’s Constitutional obligation to elect people and then hold them accountable for the manner in which they vote. Our Founding Father’s dreamed of a republic in which the people were well represented and respected by those whom they elected; a Representative Democracy that was comprised of states that kept the central government in check and shouted orders from the helm of Congress rather than cowering in the stronghold below. They established a well represented republic that was absent of the contemptuous and debilitating effects of the 17th amendment… It’s time to restore order and repeal it!